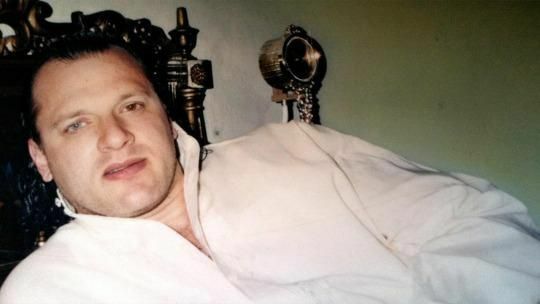 David Coleman Headley Lashkar-e-Taiba terrorist, who is now an approver in the 26/11 Mumbai terror attacks case, started his deposition before a Special TADA Court via videoconferencing from a US jail, here at daybreak on Monday. Special Public Prosecutor Ujjwal Nikam is leading the prosecution case while well-known criminal lawyer Mahesh Jethmalani is representing Headley before Special TADA Court Judge G.A. Sanap at the five-hour proceedings. Flanked by three persons his attorney John, a US attorney Sarah and an unidenfied person Bob Headley was administered the oath at 7.30 a.m. and Nikam started firing the questions at him. Right at the start, he revealed that he was born on June 30, 1960 in the US and shifted to Pakistan later where his name was Daood Sayeed Gilani. Headley, provided details of his passport and his seven-eight trips to Mumbai and one to New Delhi between 2006-2008 before the 26/11 attacks, including seven via Pakistan, one via UAE, and another trip to Mumbai in July 2009, after the terror attacks were executed. Within a couple of hours, Nikam had posed around five dozen questions where Headley also revealed that most of the information on his visa application was false so that he would not blow his cover. Admitting he was a LeT operative, Headley name one Sajid Mir as his main contact in the terror group. This is the first time that a terrorist is deposing and tendering evidence live in a foreign country. He will divulge the largers aspects of the 26/11 terror conspiracy, the people behind it and related aspects, SPP Nikam said on the eve of the trial. Headley’s ongoing evidence could help the prosecution nail the alleged co-conspirators in the attacks Zakiur Rehman Lakshi, the terrorists’ handlers, the role and involvement of other state and non-state actors, the role of another arrested LeT activist Sayed Zabiuddin Ansari alias Abu Jundal, currently in a Mumbai jail. At the previous hearing on December 10 last year, a special judge had pardoned Headley and made him an approver in the case subject to certain conditions. Headley, a man with American-Pakistani origins, was asked by Judge Sanap to disclose all information pertaining to the 26/11 case which he had earlier shared with the US courts. This could shed light on the 26/11 conspiracy and the role of various terror groups, and other crucial details of the terror strike at multiple locations which left 166 dead on November 26-28, 2008. Headley had already confessed to his role in the offences in the US for which he is sieving a 35-year sentence.